Every year in Welland, family and friends come together to celebrate the life of Owen Harold. Owen was 22 when he passed away in a tragic car accident, on September 30, 2008. Since 2009, the love of his friends and family has been brought to life in the form of Owenpalooza, an annual benefit music festival held at Club Richelieu in Welland. This year marks the seventh Owenpalooza, which is always held at the end of July, on the Saturday closest to Owen’s birthday. This year, the show takes place on Saturday, July 25, starting at 6:30. This year’s show is being headlined by Hollerado, a popular Canadian alt-rock band whose hits include, “Juliette”, and “So It Goes”. Hollerado is playing the show for the third time; they are joined by Stella Ella Olla, Dire Club, Bratwurst Days, The Bends, DRFTR, The Fortune Runners and Katey Gatta. The organizing committee is proud to announce that six of the eight performing bands are local acts. This year marks the second year of Owenpalooza having two stages. Once the first band takes the stage, there will be near continuous music for the entire night. After the final act is done, the festival provides free shuttle rides home to anywhere in the Niagara region, to ensure that everyone can have a great time without endangering themselves or others. A light meal is also served during the evening, free of charge. 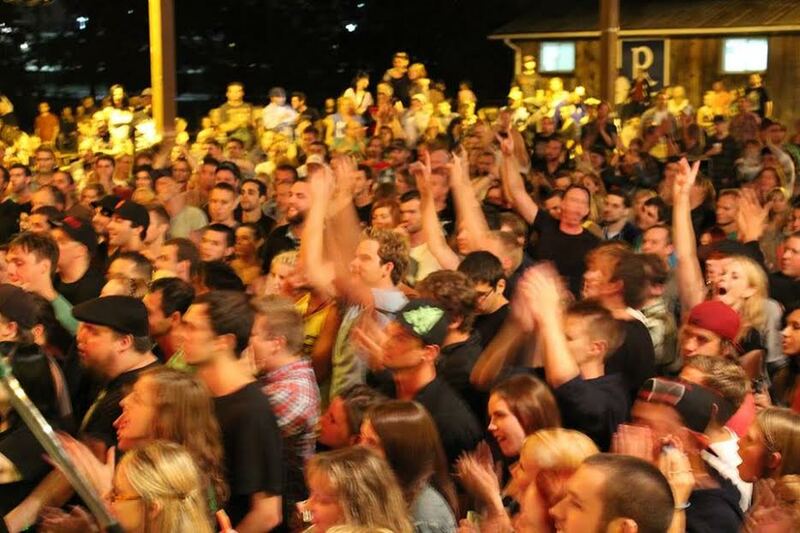 Owenpalooza is hallmarked by its signature symbiosis of a fantastic, musical atmosphere and a commitment to environmental sustainability and social consciousness. Every year the event, which is attended by between 700 and 1,200 people, produces less than one bag of garbage. This is possible through the extensive use of recycling and composting bins, biodegradable products, and hardworking volunteers who ensure nothing goes to waste that shouldn’t. The organizing committee, however, is not happy with being static on any front; they are constantly looking for new ways to be more socially and environmentally aware. This is proven through their choice of t-shirt suppliers. When they learnt that their t-shirts were being made by a company with a questionable human rights history, they promptly switched to Me to We Style, a company that sells apparel that is environmentally friendly and made by non-exploited workers. For every article of clothing that is sold, the company also plants a tree. This year the festival is continuing their support of Me to We Style, and will be selling Owenpalooza hoodies, in addition to the t-shirts sold in past years. The event’s atmosphere is such that every performer has taken note of it as something different from other events they have performed at. 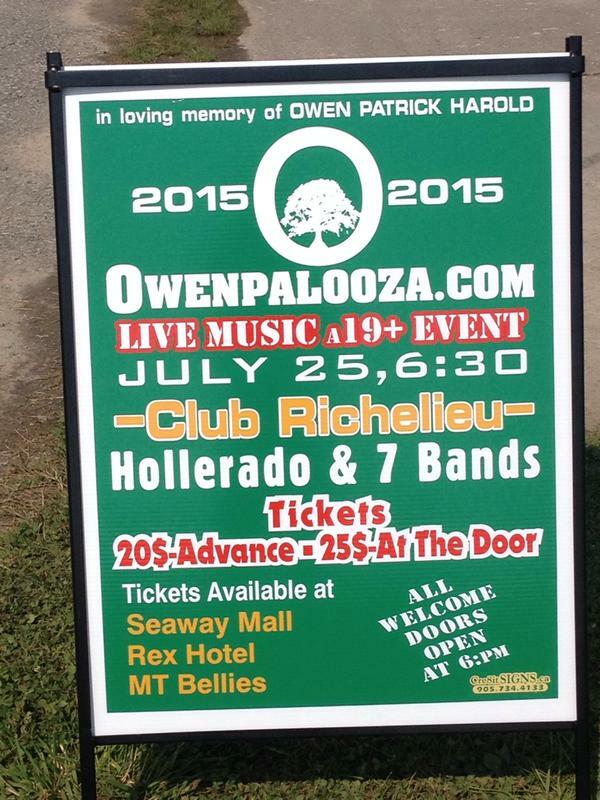 Hollerado has stated in the past that Owenpalooza is their favourite event to play at. This is demonstrated by the fact that Owenpalooza will be the first live event where Hollerado will play songs off of their upcoming third studio album. Jason “Human Kebab” Parsons, one half of previous headliner USS, called Owenpalooza the greatest mosh pit in their band’s history. Attendees of the event will be sure to take note of the unique vibe characteristic to the show. In addition to supporting the environment and local artists, Owenpalooza is a benefit concert. The proceeds from the event are divided between two causes. Half of the proceeds go to the Owen Harold Memorial Scholarship Fund at Notre Dame College School, of which Owen was a graduate. 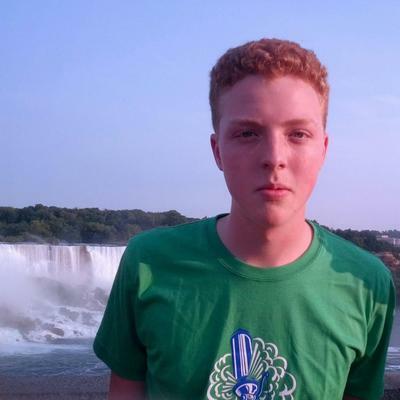 The $1,000 scholarship is awarded annually to a graduating student who exemplifies the characteristics Owen cared about, chief among them a dedication towards making the world a better place. The four winners thus far have all been people who the scholarship committee believe will “pay it forward”. The rest of the proceeds go to Owen Harold Random Act of Kindness Fund. Through this, money is donated to important causes, both local and global. Funds have gone towards orphanages in the developing world, service dogs for children with autism, cancer research, Naturopaths without Borders, and many more causes that the organizing committee believes it is important to support. 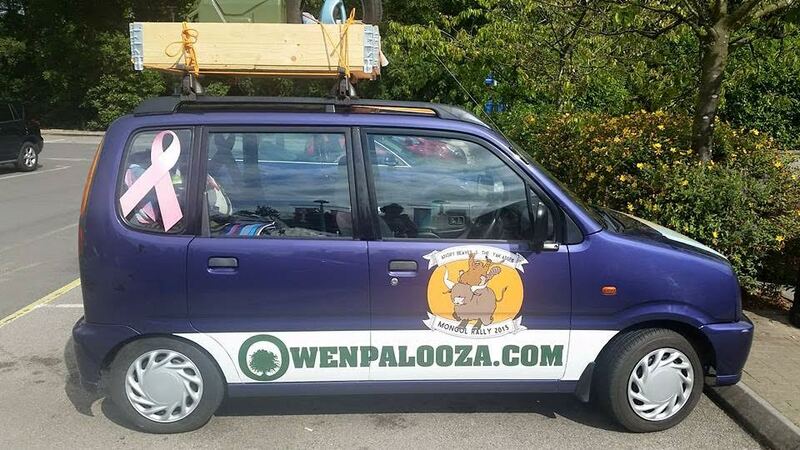 This year, Owenpalooza is proud to announce it is sponsoring a car in the annual Mongol Rally, a 10,000 mile drive from London, England, all the way to Siberia, through the steppes of Mongolia. A close friend of Owen’s, Devin Dehne, is competing this year. Funds raised in the rally go towards saving the rainforests of the world, a cause that Owen would no doubt rally behind. Indeed, the whole idea of the Mongol Rally is something Owen would agree with. 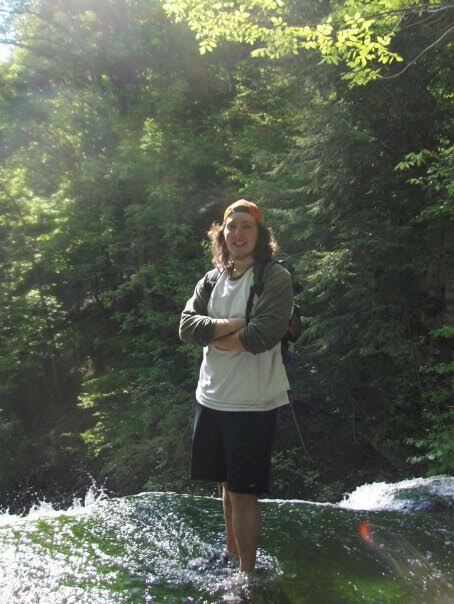 He was passionate about adventure, having a good time, meeting awesome people everywhere across the world, all while hopefully making a positive contribution to the Earth we all live on. I hope that you can make it out to Owenpalooza this year. Hollerado, and all the other bands, will put on a great show. I guarantee that all in attendance will have a good time. Owen Harold was, and is, my older brother. He cared about the world, and wanted to make a difference. In his short 22 years with us, there is no doubt that he did. Through Owenpalooza, his friends and family continue his legacy of enjoying great music, with great people, while making the world a better place. One t-shirt at a time. This entry was posted in Uncategorized on July 16, 2015 by fromareportersnotebook. Olive Maj on What The Duck?